Because of the unconventional nature of the treatment applied, we have compiled several case studies to demonstrate and analyze our unique approach to these distinct problems. By utilizing state-of-the-art technology and cutting-edge dentistry, St. Marks Painless Dental does not stop at conventional treatment for your most unusual dental conditions. Caution: Images may contain blood. Please open at your discretion. 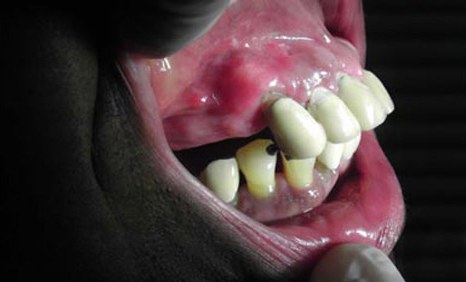 Periodontal Case. Planning can save extra surgery! Patient came to the office with an infected upper central incisor. 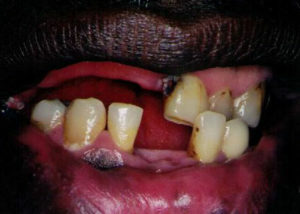 due to severe bone loss, the tooth was impossible to save. We recommended the following comprehensive treatment plan; extraction, bone graft, and implant restoration. Before Surgery. Note sever bone loss around missing tooth. Patient was referred to our office for cosmetic evaluation. 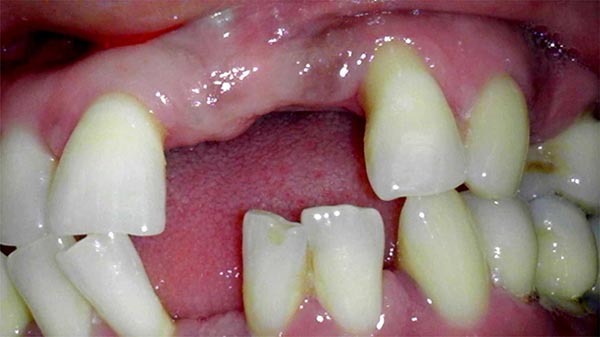 During examination we established that she had multiple problems with her upper teeth. 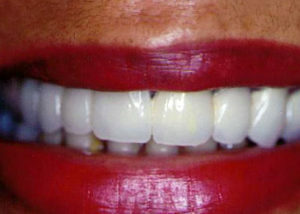 She had an old bridge with open margins due to the gum recession. 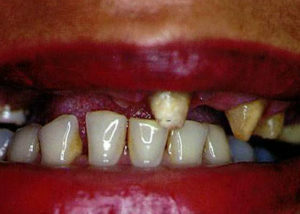 She also had a very deep bite, causing her teeth to look protruded. 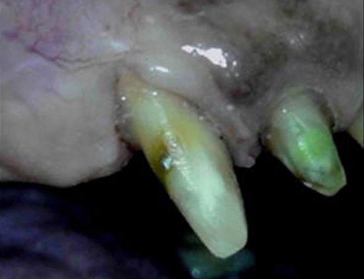 However, the most severe problem was an infection around her upper right canine. 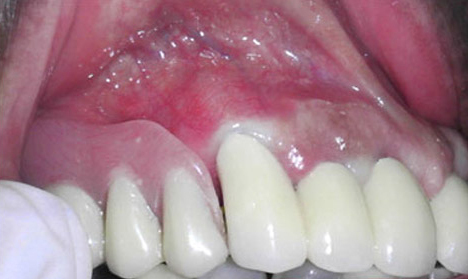 This condition is known as “lack of attached gingiva.” If left untreated, it would cause premature loss of an important tooth. 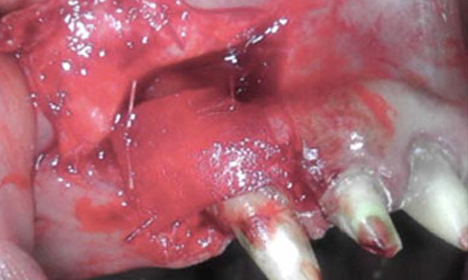 This case is a good example of importance of a comprehensive approach to treatment planning. 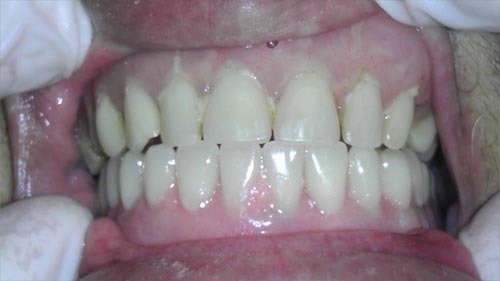 Besides cosmetic restoration this patient needed periodontal surgery (soft tissue graft) and deep knowledge of Temporo-Mandibular Joint function in order to achieve best results. After removing the old bridge. 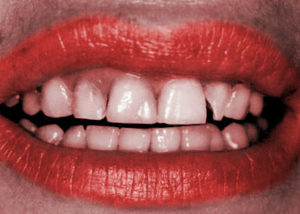 Note absence of attached gingiva. We elevated the partial thickness flap and attached a collagen membrane to the subperiosteal epithelium with restorable sutures. We then sutured the gingival flap in place. In only 8 weeks after the surgery final restoration was finished. 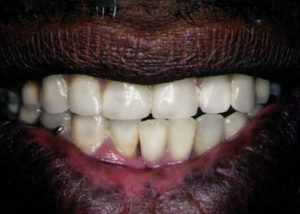 Note healthy gums, perfect bridge and a partial denture without clasps (hooks). We also repositioned her lower jaw to correct the deep bite and protruding upper teeth. 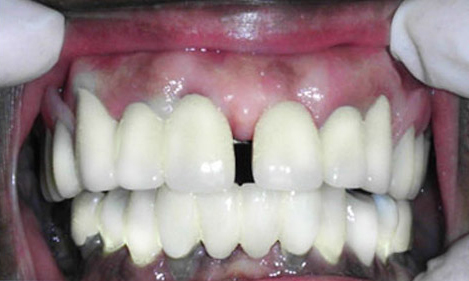 One of the challenges we had to overcome was to preserve space between upper incisors. 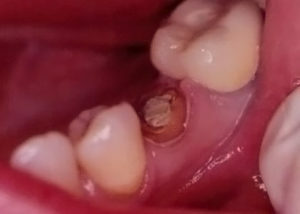 Patient came to the office with advanced periodontal problems in her lower teeth, seeking permanent implant restoration. We recommended the following treatment plan: Extraction, implants, removable temporary teeth and an implant-supported fixed bridge. Teeth were extracted, and Platelet Rich Plasma was used to expedite healing. 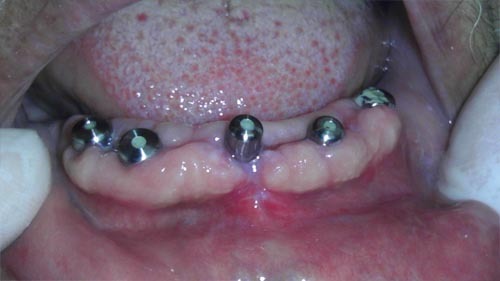 After implants were placed, we placed healing abutments. (this could not have been done without PRP and extensive surgical experience.) Note excellent healing in just 2 weeks following the operation. 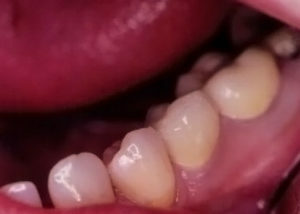 Immediate temporary teeth where prepared in advance and placed on the day of surgery. 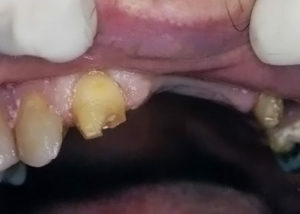 Patient didn’t have to be without teeth for a single day. 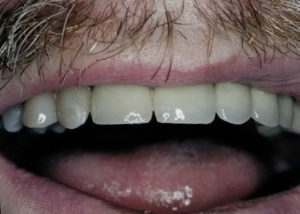 Note upper denture is old (not placed by us). 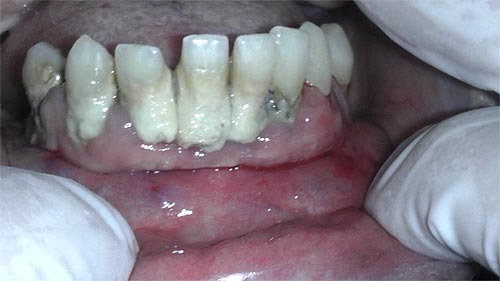 Patient came to us after begin referred by her primary dentist. Excessive bone loss (80%) surrounding her pre-molars (upper-left side) caused her teeth to become loose, which resulted in serious pain. 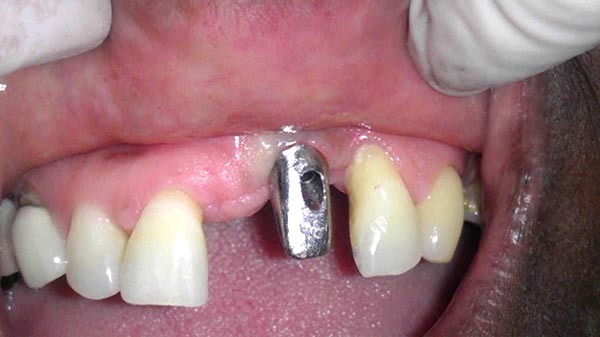 We began by elevating the full thickness flap and extracting the loose teeth. The implants were placed with a bone graft around them. To speed up the healing process, we used Platelet Rich Plasma. After the soft tissue was sutured, the patient was ready to go home. The patient was placed under sedation and we were able to complete the whole procedure in just 90 minutes. See how St. Marks Painless Dental transforms the smiles of our patients and envision us doing the same to yours. Complete upper jaw restoration with porcelain bridge. (round house bridge) One of the most effective cosmetic procedures. 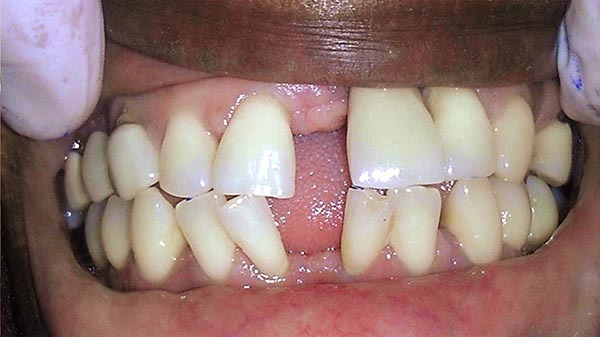 Severely decayed and broken tooth treated with root canal post and crown. 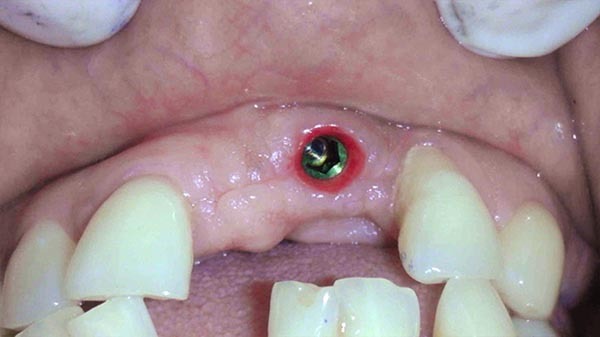 Interesting case for immediate dentures. These two pictures were taken 15 min apart. 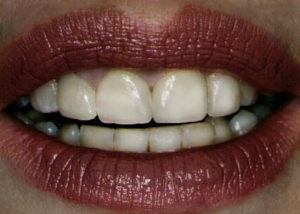 Dentures where done prior to extractions. 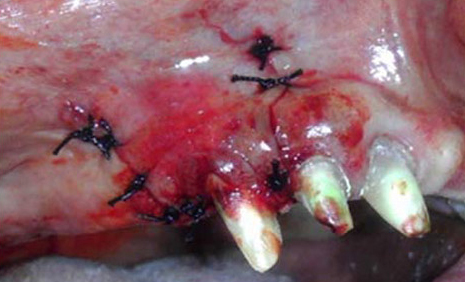 Patient never had to walk around toothless.